I very much enjoyed this post. 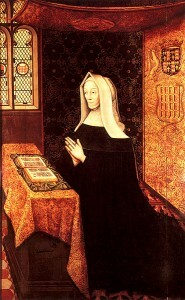 You might like to read about Margaret Beaufort’s mother, Margaret Beauchamp on my blog Status, Scandal and Subterfuge http://www.lydiardhouse.blogspot.com. 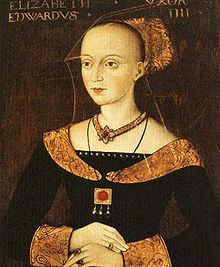 Her first marriage to Oliver St John established another dynasty, and led to further, if slightly disreputable, royal connections. Well now they have almost certainly found the remains of the last lawful English king maybe we can have some open debate instead of Tudor lies and propaganda. Henry V11 had absolutely no legal claim to the English throne. He gained it through treason and French gold and foreign mercenaries. This woman is one of the most devious and evil women in English history. She has been convincingly fingered at having conspired to kill the two princes to put Richard between a rock and a hard place. If, as some suggest, Richard got the Princes out of the country to protect them and stop dissention then it is also convincingly argued that the real Lambert Simnel was the eldest and even more so that Perkin Warbeck was the younger. It was this evil woman who made sure he was hung and her hand can be seen in the extermination of other Yorkists like the Earl of Warwick. Hopefully finally the odium she deserves might just be coming her way when the English see through the 527 years of lies..
I’ll be very interested to see if they have indeed discovered the remains of Richard III, and if they have, if this enlightens us greatly. I am curious about how he could be considered a legitimate king though as surely if his nephews were still alive during his lifetime, they had stronger claims on the throne than he did? I also haven’t seen any evidence to support the alternative claim that Simnel and Warbeck were genuine. Anyhow, I dare say these debates will never be fully resolved. I am not sure they can be- too much is unknowable and too much falls to interpretation and so I don’t think everyone will ever agree. As a historian, though, and one who has spent a fair bit of time looking at infamous women, I must say that I have never found “evil” to be a useful category to put anyone in. I don’t even find it helpful for Hitler, let alone someone like this. Your opinion of Margaret Beaufort may well be that she did wicked things, but evil is another matter- one better left to the pulpit, if at all, in my opinion. I think there is a great deal to admire about her, especially as she found herself in such difficult and unpleasant circumstances. Many of my historical heroes are people I would not particularly want to have been friends with, but we cannot judge by contemporary moral standards. Just who has ‘convincingly fingered’ Margaret for having killed the Princes, apart from maybe Phillipa Gregory in her work of nigh on fantasy ‘The White Queen’? You may want to note that Lambert Simnel was claimed to be Edward Earl of Warwick, not Edward V, so how can it have been ‘convincingly argued’ that he was someone he never even claimed to be? As far as ‘extermination’ goes, what of what the Yorkists did to the House of Lancaster? 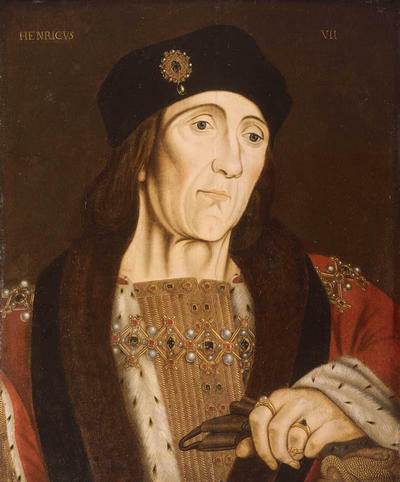 The execution of two of the Courtenay and Beaufort Brothers, the murder of Henry VI? Edward IV even had his own brother executed. If evil is to be measured in how many people the respective historical figures had murdered or executed, the Yorkists may well come out on top. They were savage in their ruthlessness, willing to have even their own relatives and family members sent to the block-in fact it seems to have been the Yorksits who started the policy of executing any nobles captured fighting against them in battle. 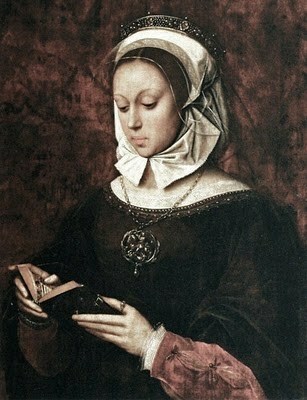 In a way the Tudors may be seen as following their example. And as far as the discovery of Richard III’s remains is concerned, it has confirmed that he did have a spinal abnormality, a notion that has long been dismissed as Tudor propaganda. So what said about him may be true? Hi. I have just found this site to follow some rather eccentric theories I have about Anglo/French politics in the late 14th and 15th Centuries, mainly around La Pucelle d’Orleans. I wholeheartedly agree with your last paragraph. The word’ expediency’ seems to be the keyword. Even religious morals were extremely variable, the divine rights of ‘kings’ used as a ‘raison d’opportunité’ by both sides. One question intrigues me. In my studies I have found many cases where matrilineal rights were upheld over male lines, even where the Salic law was operative. 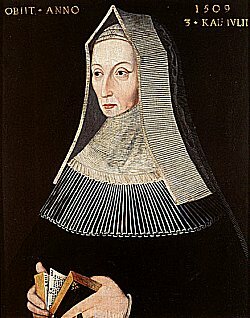 I realise that in Margaret of Beaufort’s and Elizabeth Woodvilles’ case, that strong women could impose their wishes and have stronger blood ties than male pretenders but in lesser mortals it seems that ‘nobility in the second creation’ via a surviving female was very common e.g. Thomas Boleyn and Earl Rivers, who had 3 creations, the last being a woman. It certainly seems to have been a strengthener of Henry Tudors claims that he had Valois connection in both sides of the family, without the genetic fallibility to periodic madness. Do you have any views on this, especially with the fact that her husband explicitly asked for her to be his heir, and is said to have committed suicide! 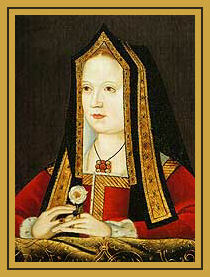 PS Why is Elizabeth Woodville so downplayed in history? She was Jacquetta of Luxembourg’s daughter [ and a Rivers to boot], husband of John of Bedford and heiress to one of the richest families in Europe. That is quite a busy couple of days they had! Oops! A little typo there. Edmund died just after his first wedding anniversary, in 1456! I’ll edit that in the post now. Well spotted!